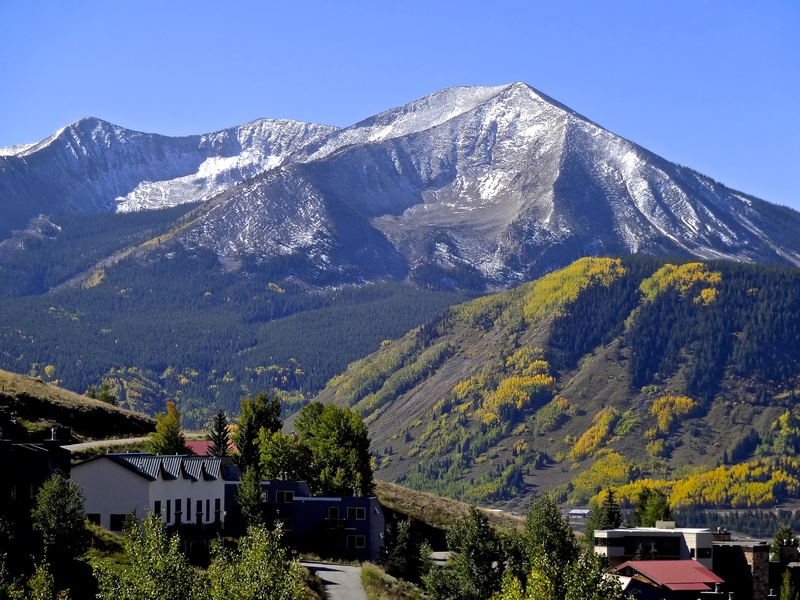 Crested Butte is known as “Colorado’s Last Great Ski Town” and “The Wildflower Capital of Colorado.” A few hundred miles southwest of Denver, Crested Butte started life as a supply town for the areas silver mining boom in the 1860’s. 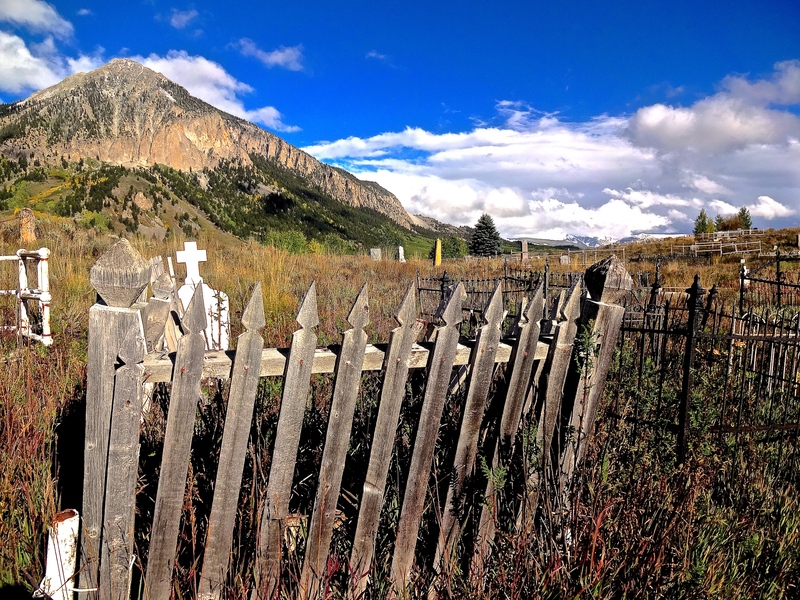 Less dependent on mining than its now ghost town neighbors, Crested Butte survived, turned to ranching and eventually to skiing and outdoor recreation by the early 1960’s. Crested Butte is south of Aspen and north of Telluride but is much less known than its sister ski resorts, but offers arguably the best skiing in Colorado. An early snow covers most of the city’s famous namesake mountain at 12,162 feet (3,707 m) above sea level. 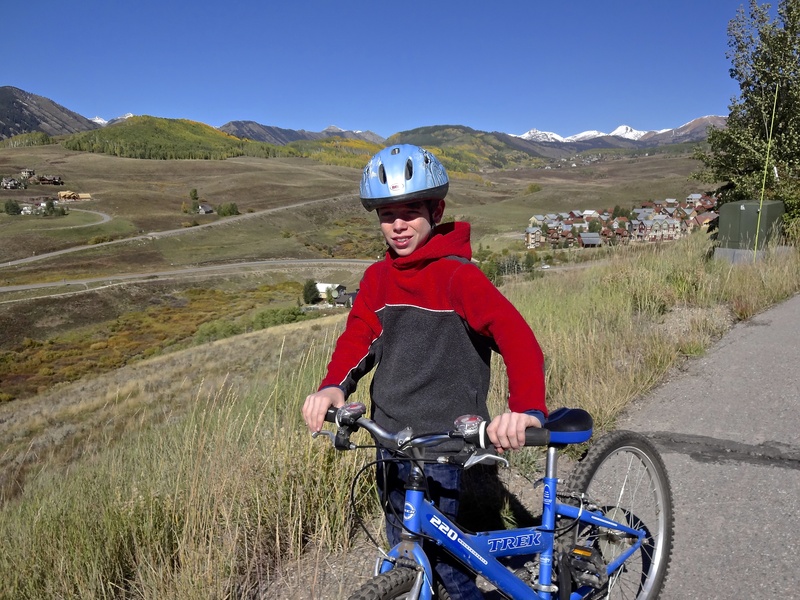 Once home to the native Ute Indians, “CB” as it’s known locally is home to a paltry 1, 500 full-time residents, but many times over that during the peak of ski and mountain bike seasons. 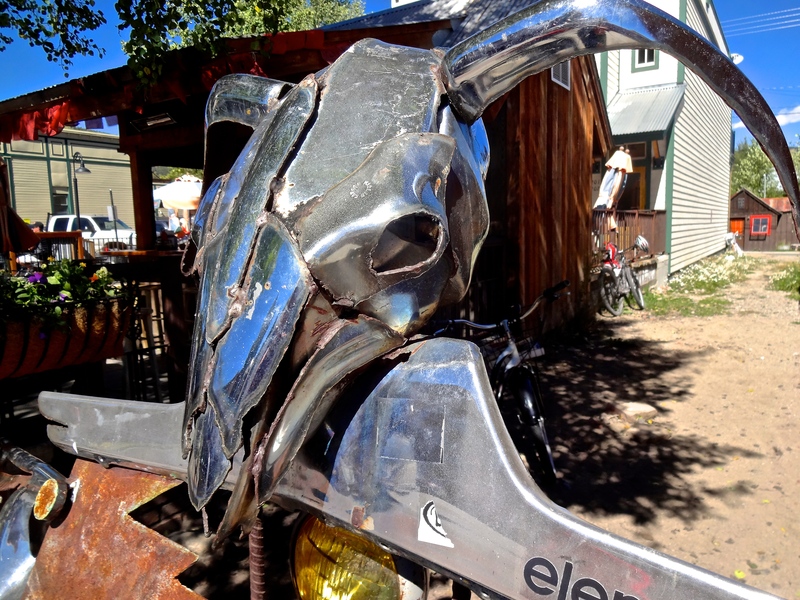 At close to 10,000 feet, Crested Butte reminds those from sea level that biking and hiking at this altitude requires patience and a reasonable pace. Local stores sell altitude potions designed to help newcomers to the ‘nosebleed’ heights acclimate sooner. Uptown CB is small by resort standards but features plenty of great places to find dinner, browse unique local art, and shop for bikes, skiis, and outdoor clothing. A local history museum features the Mountain Bike Hall of Fame-something locals claim is the birthplace of the entire mountain bike movement thirty years ago. 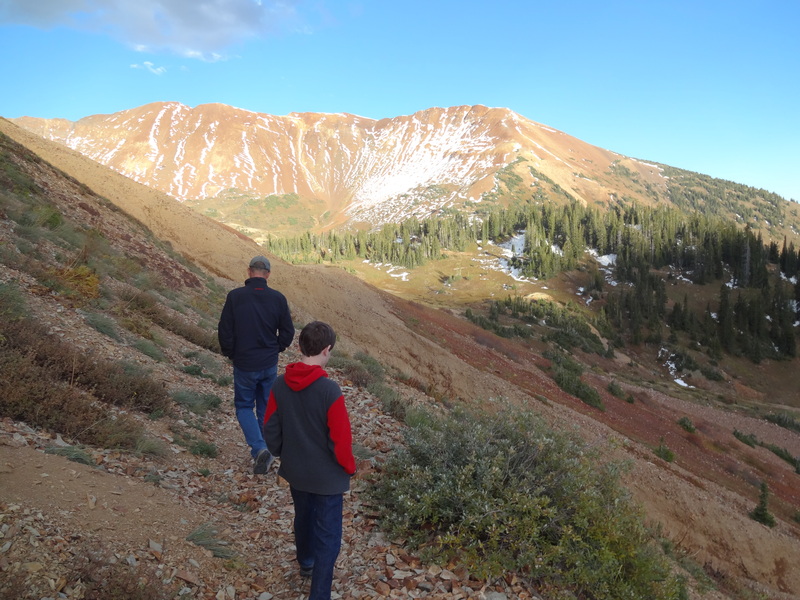 Alex and John, an old high school pal, and full-time CB resident hike near Gothic Mountain through snow patches and remnants trails recently blown down the mountainside by torrents of unusual September rainstorms. 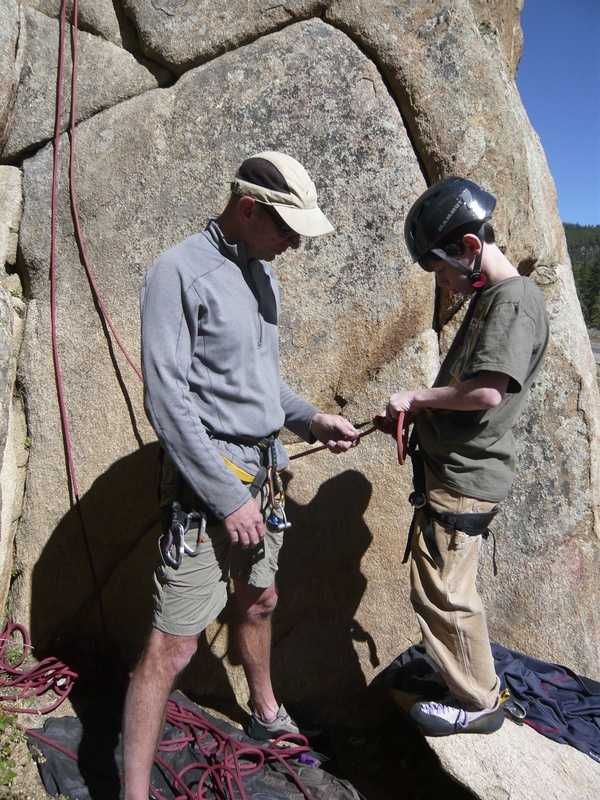 John gives Alex a lesson in rock climbing near Taylor Canyon and Spring Creek on the way to Independence Pass. 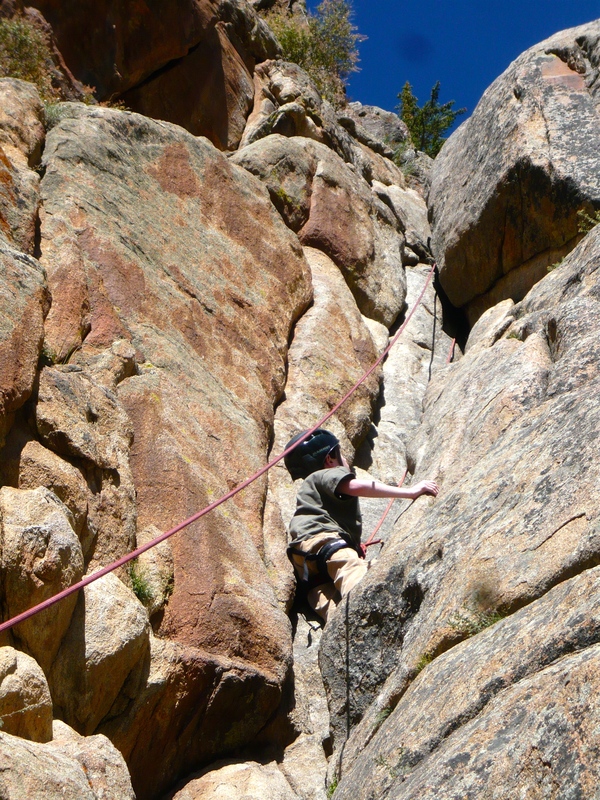 A natural climber, Alex took right to the cliff and scrambled up without a problem. 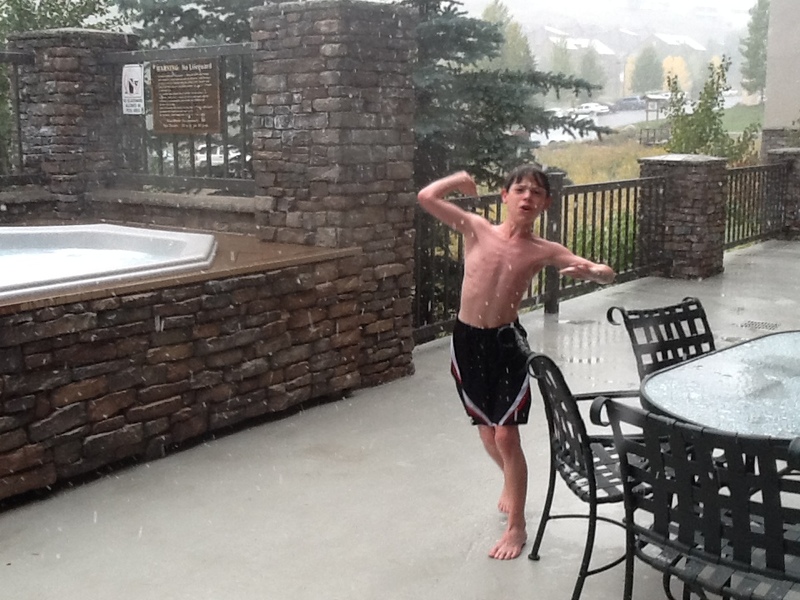 “Too cold for camping” according to Alex but obviously not too cold to throw snowballs at your father from the hot tub. John and Alex wait outside of McGills on Elk Street-an old C.B. 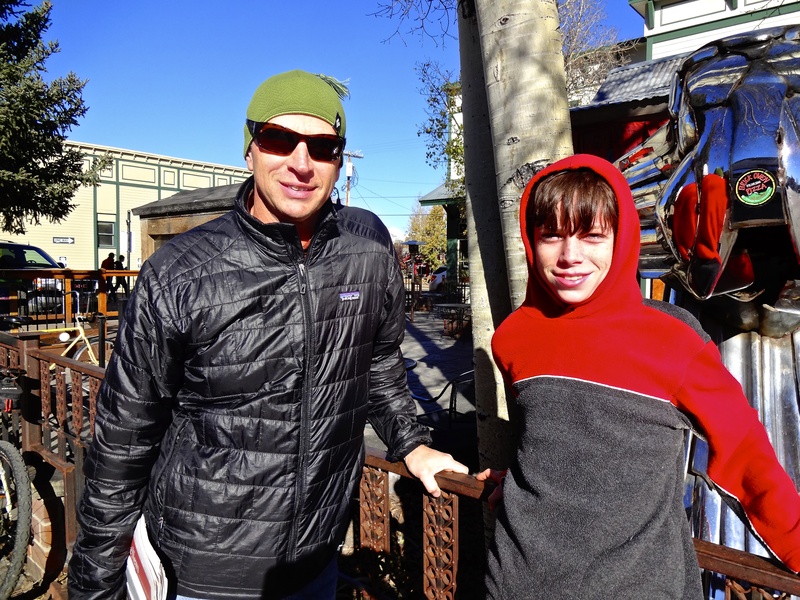 general store turned diner for a hearty Colorado breakfast. 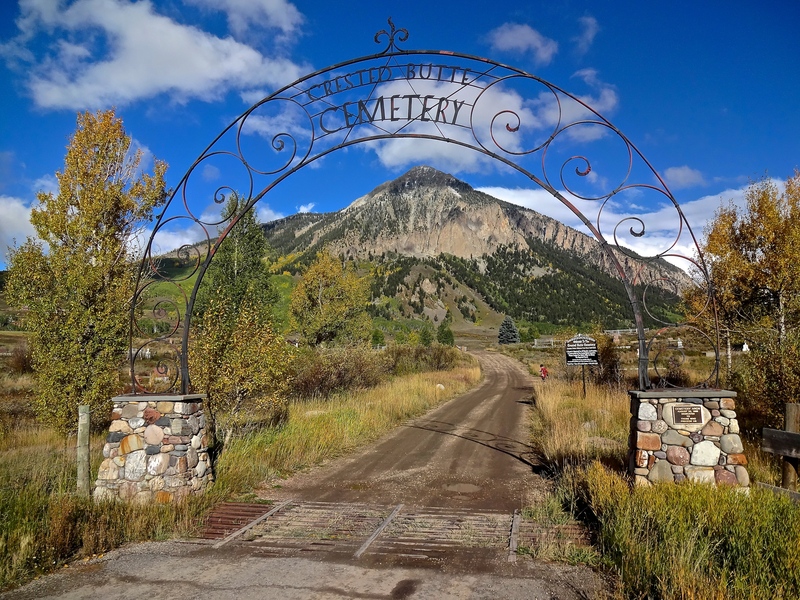 Certainly one of the best pieces of real estate in the whole valley is the Crested Butte Cemetery with its beautiful iron entrance arch just north of town. Dr. Virgina Satir, originally from Menlo Park, California, and the mother of family psychotherapy is a buried here and possibly the most noted of its ‘residents’. 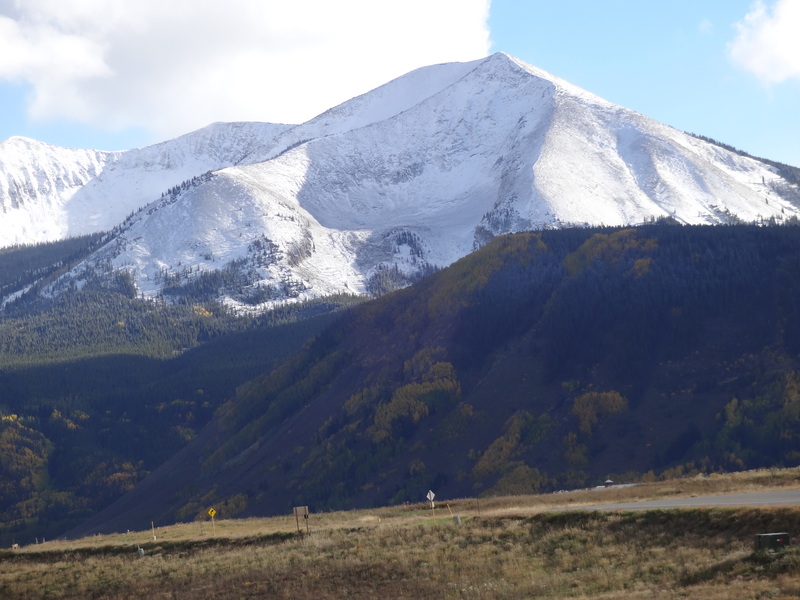 Snow, early and temporary in late September, dusts the peaks on and around Crested Butte. The last of the annual golden canopy of aspen leaves glow in the warmer valleys below. 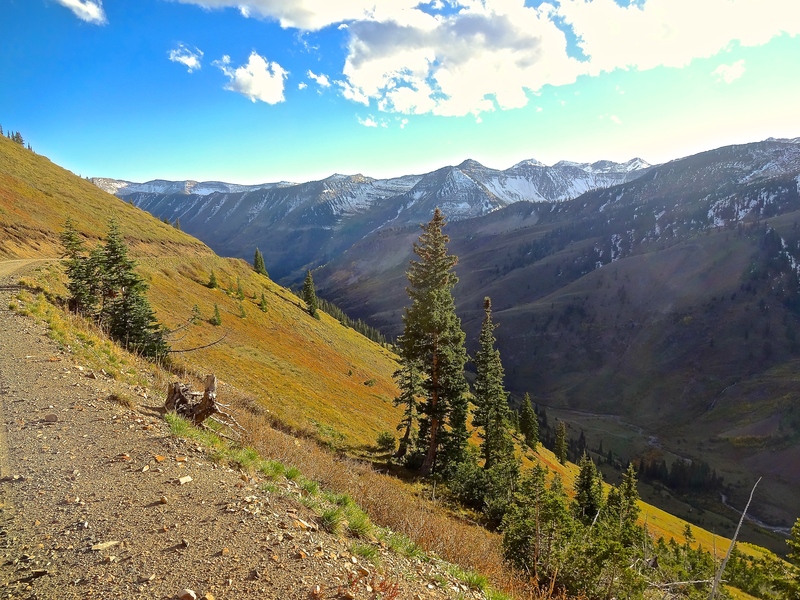 Just west of Crested Butte is a mostly gravel road that passes through the sublime Kebler Pass. 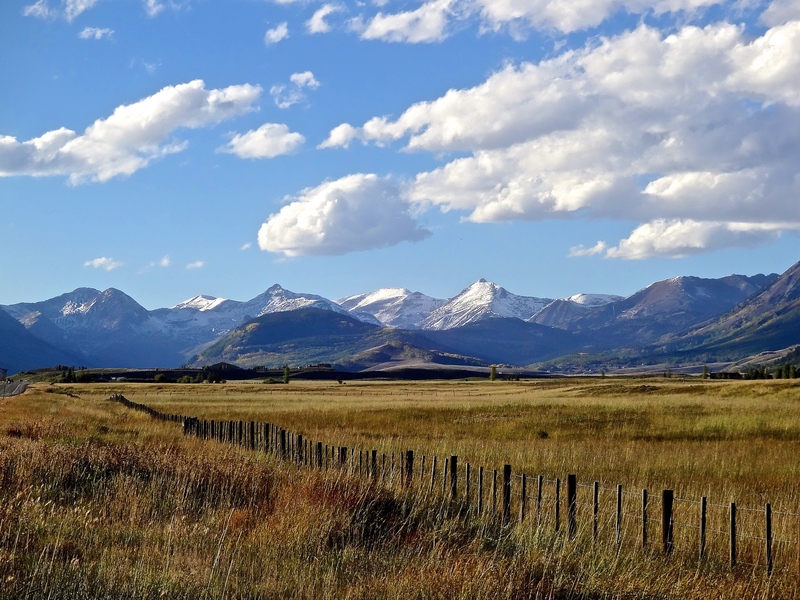 Before being closed off by snowfall, Kebler at just over 10,000′ provides amazing views of the West Elk Mountains along a meandering high mountain road. 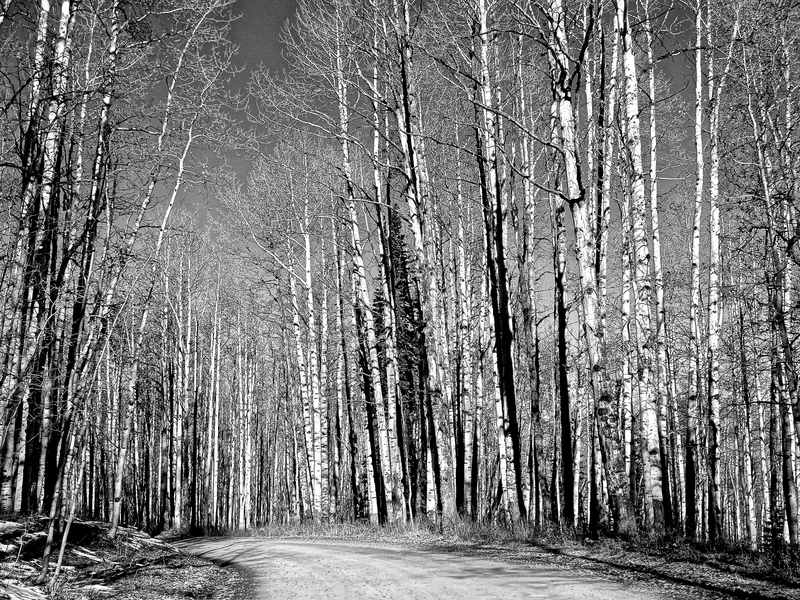 Equally spectacular is the vast groves of Quaking Aspen trees all along the way. This aspen grove has been tested and found to be a clonal colony and remarkably grows from a single root system. Every tree is connected to the other and thus considered biologically to be a single living organism. I should like to go there. I haven’t been to CO. in years. My brother is there now so I will visit soon.